Well, I have just under a week before I fly out, so here is the state of play. I have found an air carrier to get this stuff to my US address, it is Australian Air Express. I have two removal boxes which I hope to fit everything in. Weight is not a problem, volume is, so I may chop the box up while packing. Time frame is 3 days to the states, then a few days I guess in the states, about a week or so all up. If it does not get stuck in customs. I hope to send the boxes Tuesday. 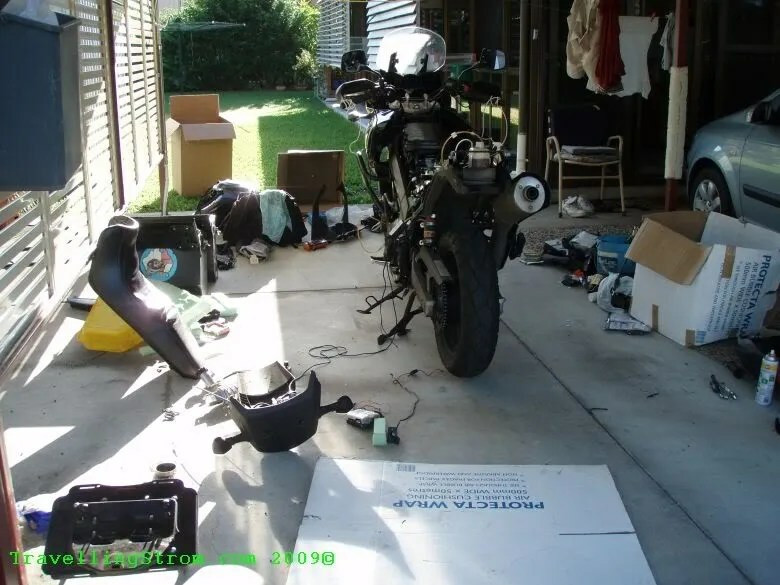 I have a storage solution for my bike which does not involve leaving it in a shipping container in a paddock in the aussie sun. I will probably leave it with a friend who will ride it to work once every few weeks to keep it wholesome 🙂 There are some logistics to be worked out still about this. I still have to move all my gear from the storage shed to my container, that will be later in the week, I need some bodies for that. Most I can do myself, but fridge, washing machine etc are too large for one. I have nearly sorted out the purchase of a bike. It is on the west coast, about 300km north of LA. It is low mileage and in good nick, from what I saw of the photos I was sent. It is a Blue 2007 non ABS model. 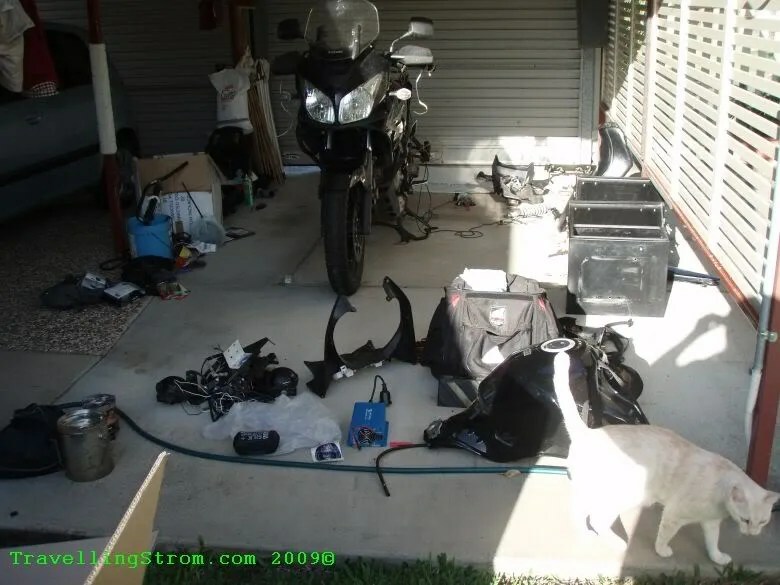 So, I would need to get a bus from LA to there, inspect and probably buy the bike, his stuff has to be taken off the bike that he wants to keep, return it to stock, then I have to ride about 1600km to Utah where the workshop is where all my gear is being sent. This will take a day or so as I would need to get to a bank and cash some dosh out. Rego within California would be best, so hopefully I can do that right away. From there, after the bike has been farkled up, I have been offered a guided tour of the state of Utah, by the same kind chap(Tombstone) who has offered the place to stay and workshop for the bike, how can I refuse 🙂 From there, who knows. This entry was posted on March 22, 2009 at 8:20	and is filed under Overseas Preparation. You can follow any responses to this entry through the RSS 2.0 feed. You can leave a response, or trackback from your own site. Thanks for your thought Becsta.